The requirement to source and fabricate the desired materials to meet the exacting needs of the client was an imperative feature of the success of this distinguished project. 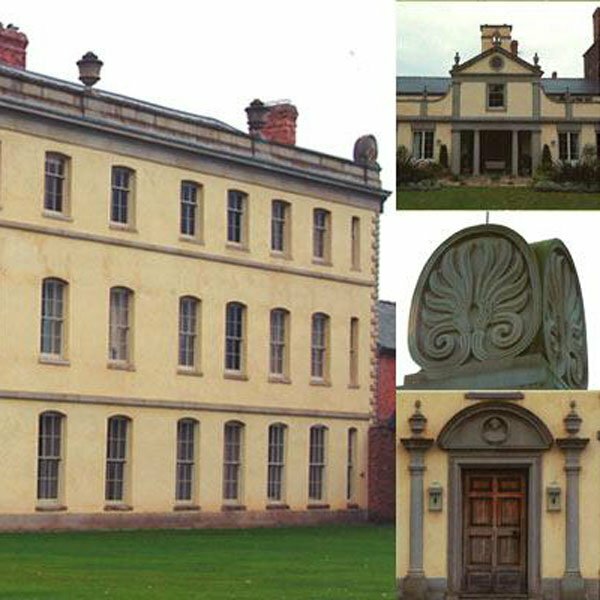 Sympathetic restoration and intricate new build demanded an integrated project management programme that combined the manufacture of the previously proposed portico and the replication of original 18th century architecture. The main house featured grandiose carved acroteria and urns, awe-inspiring carved features, kitchen and library extension, elevations incorporating a paved loggia and Doric columns. A newbuild south wing extension, collonaded cloister garden and swimming pool pavilion completed this prestigious and celebrated project. “Meister Masonry were able to source and deliver the requisite Forest of Dean and Callow Hill material needs specific to the architectural and client brief”. – Michael Sambrook, Director, Frank Galliers Ltd.